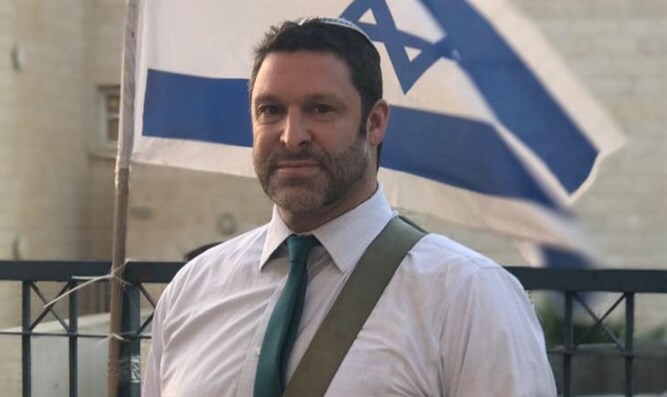 Man murdered in stabbing at Gush Etzion Junction identified as Ari Fuld of Efrat, a father of four and a known pro-Israel activist. It was cleared for publication that the man murdered in the stabbing attack this morning at the Gush Etzion Junction was Ari Fuld, a resident of Efrat and father of four. “Ari was about launch a new Hasbara site [to reveal truth about Israel] in English. He was a good friend who you knew would stand by you and protect you in any situation. “A lowly terrorist came up behind him, and in a cowardly way stabbed him. Ari was one of the fighters in the Efrat emergency squad. We didn’t expect anything less of him. Even after he was wounded, Ari engaged with the terrorist and chased him as he was bleeding, and managed to respond and shoot at the terrorist." "We are confident that his death will not be in vain, and his activity will grow and intensify. We expect the government to immediately demolish the house of the terrorist and expel his family to the Gaza Strip as soon as possible," Shurka added.